Whether your child is getting ready to start preschool or go back to school, you probably already have a list of school supplies that you’ll need to buy. And while you can find great eco-friendly school supplies, they’re unfortunately outnumbered by lunch boxes, backpacks and other common supplies made from Polyvinyl Chloride, or PVC, which often contains phthalates. We’ve told you how to avoid this toxic endocrine disruptor in your bath tub, teething toys, changing pads and more. Now the Center for Health, Environment & Justice (CHEJ) has released a free Back-to-School Guide to PVC-Free School Supplies to help you avoid toxins while shopping this fall. CHEJ’s goal is for schools to be healthy and free from toxins. In addition to phthalates, PVC can also contain lead, cadmium and organotins, all of which can have adverse health effects and have been linked to asthma, obesity and learning disabilities. Luckily, there are plenty of alternatives to PVC school supplies, and it’s easy to avoid the poison plastic when you’re shopping. Look for the word “vinyl” on the packaging: Vinyl 3-ring binders for example. Still uncertain? Call or email the manufacturer, which should be on the package or online, and ask what material the product is made from. Backpacks with shiny plastic designs often contain PVC, and sometimes even lead. The paper your meat or cheeses are wrapped in at the store, waxed paper and parchment paper may contain PVC. Seemingly PVC-free lunch bags or metal lunch boxes may be coated with PVC inside. 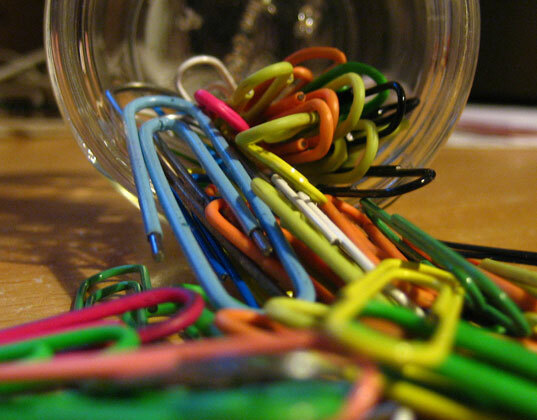 Notebooks that have colorful plastic-encased metal spirals usually contain PVC, and the same goes for colored paper clips. PVC often fills polymer clays such as Sculpey and Fimo. f the CHEJ’s back-to-school shopping guide to take with you on the go. 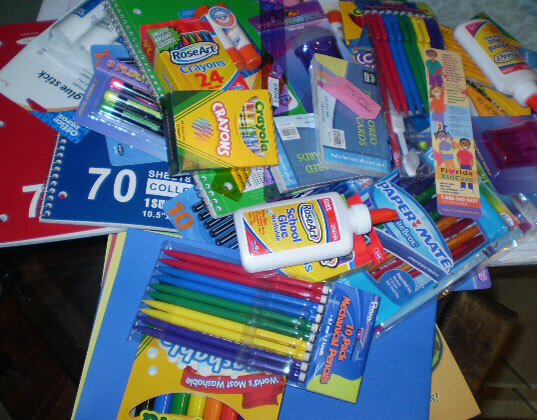 The guide offers general tips along with a list of PVC-free school supplies and where to find them including binders, notebooks, pencils, markers, pencil cases, sneakers, backpacks, art smocks, lunch boxes, lunch wraps and more. Ideally, you should avoid plastics all together when you go back-to-school shopping. Polycarbonate (PC), polystyrene (PS) and acrylonitrile butadiene styrene (ABS) should also be avoided. CHEJ’s guide offers tips on how and why you should stay away from these plastics as well. Whether your child is getting ready to start preschool or go back to school, you probably already have a list of school supplies that you'll need to buy. And while you can find great eco-friendly school supplies, they're unfortunately outnumbered by lunch boxes, backpacks and other common supplies made from Polyvinyl Chloride, or PVC, which often contains phthalates. We've told you how to avoid this toxic endocrine disruptor in your bath tub, teething toys, changing pads and more. Now the Center for Health, Environment & Justice (CHEJ) has released a free Back-to-School Guide to PVC-Free School Supplies to help you avoid toxins while shopping this fall.